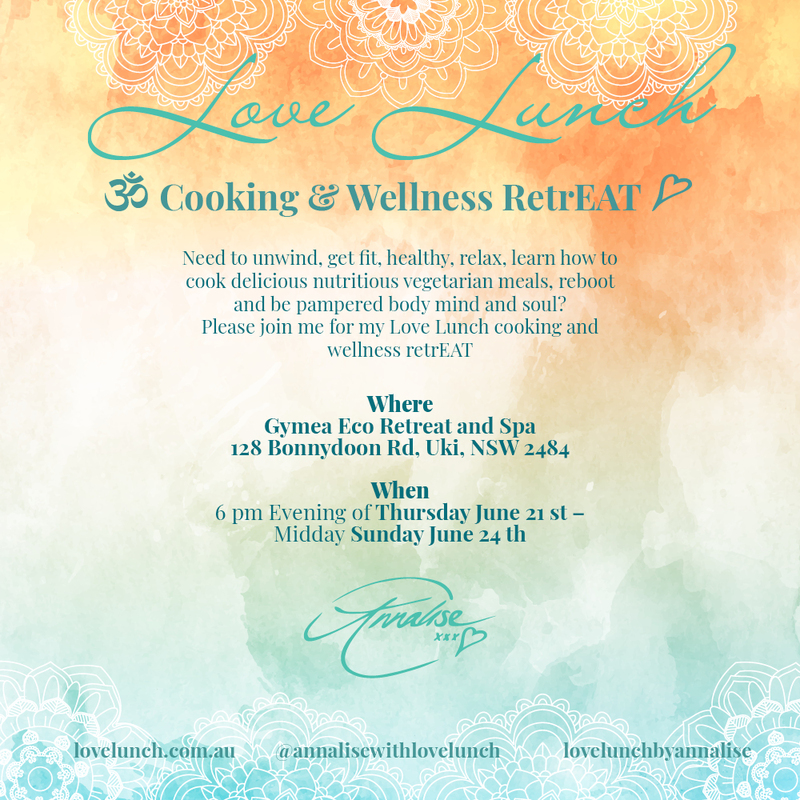 Byron Bay Love Lunch Cooking & Wellness retrEAT! My fellow foodies, yogis, retreaters, and those of you craving a mini healthy break… you might like to join my incredible facilitators and I for 3 days of healthy, delicious bliss in beautiful Byron Bay! For all information, please visit my Love Lunch website. Bookings are essential and spots are quickly filling up, so do enquire soon to not miss out! © 2014 Annalise. All rights reserved.